 Incandescence from Villarrica's crater had subsided mid-April 2012 and was undetected by satellite and ground observations at least through 10 November. Images captured by a camera in Pucon (16 km N) on 10 November showed an increase in the plume intensity. Small water vapor plumes, 50 m wide, rose from the depths of the crater.